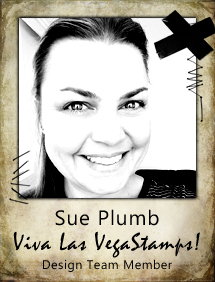 Sue Plumb here today to share a sweet little project I created recently for my daughter, and it's in stark contrast to my previous project share which featured my "zombie" cat. This time I opted for a small scale project - working on an index card, which fits perfectly into a small 6x4" frame that can then go into my daughters bedroom. 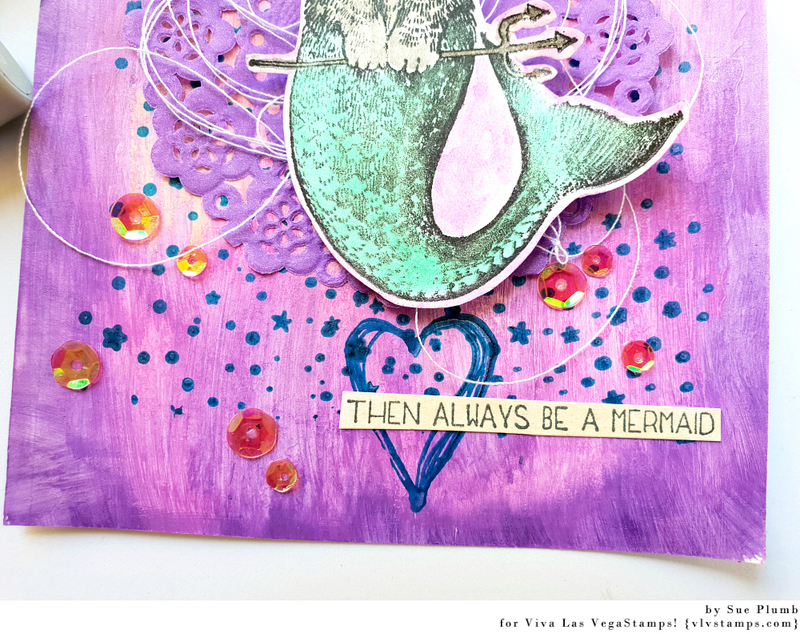 I started by applying a light coat of gesso all over the card, before using Faber-Castell gelatos to add some colour. 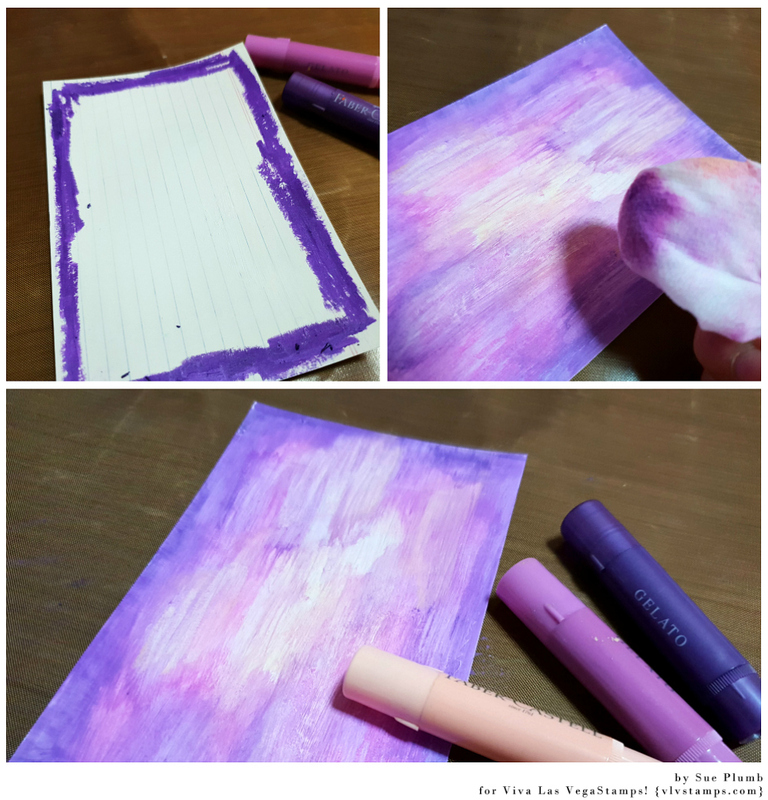 I used a moist baby wipe to blend each colour, mixing the 3 colours together, but concentrating on having the darkest tone around the outer edge to border it. Once I was happy with the colour, I set it aside to dry. 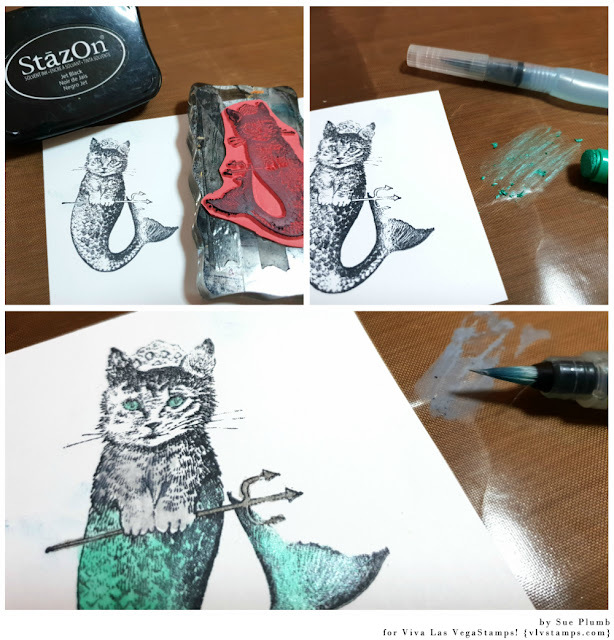 I then took the Cat Mermaid stamp, which was to be my focal image, and stamped it onto some white cardstock using Staz On ink. I again used my gelatos to add colour; this time by adding a little to my craft mat and then using a water brush to pick up the colour so I could colour my image. 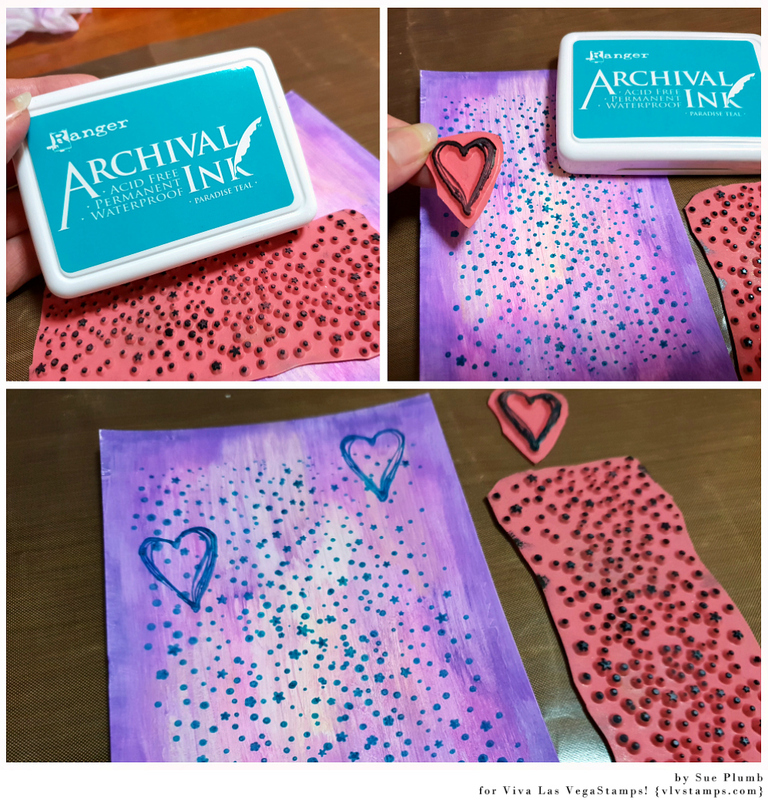 I then turned my attention back to my index card, using the gorgeous Sky of Stars Background stamp and Ranger Archival ink to add a whimsical touch. 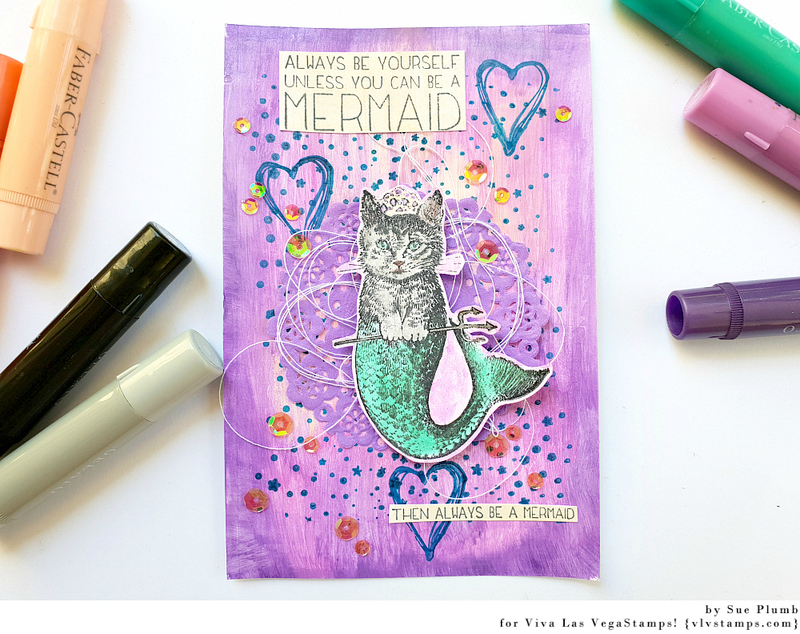 I also used the Scribble Heart stamp to add a little love. 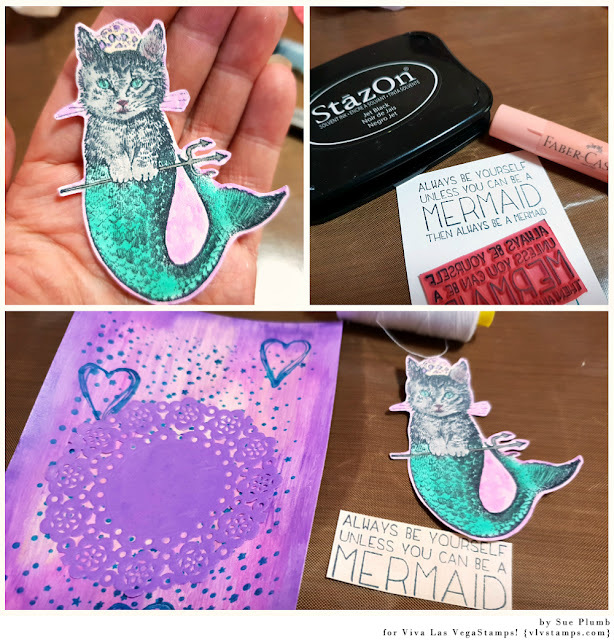 Next, I fussy cut around my cat mermaid; before stamping the quote using the Always Be Yourself/Mermaid stamp onto cardstock. I again used a gelato to add some colour, then fussy cut the quote into two pieces. Now it was time to construct my piece. 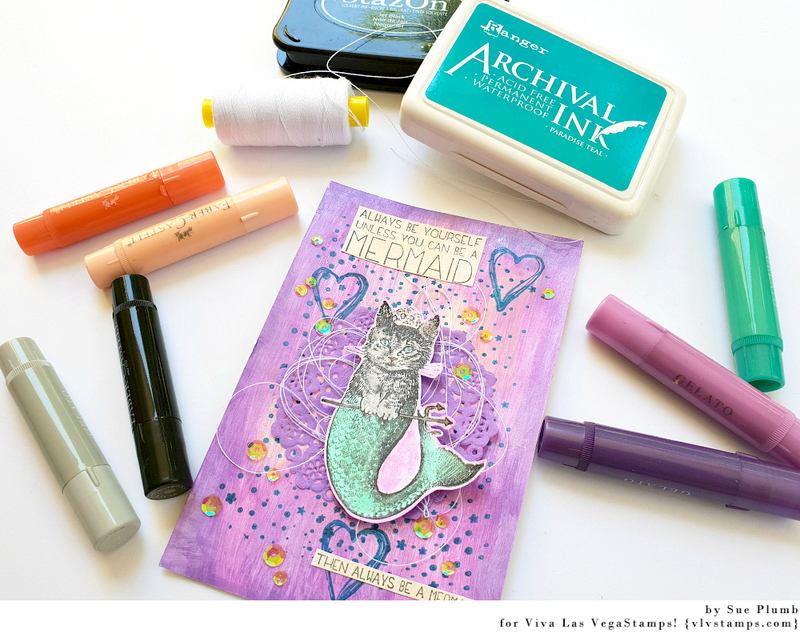 I started by adding a small paper doily to the centre of the card, topped with some messy cotton thread, then added my cat mermaid on top. 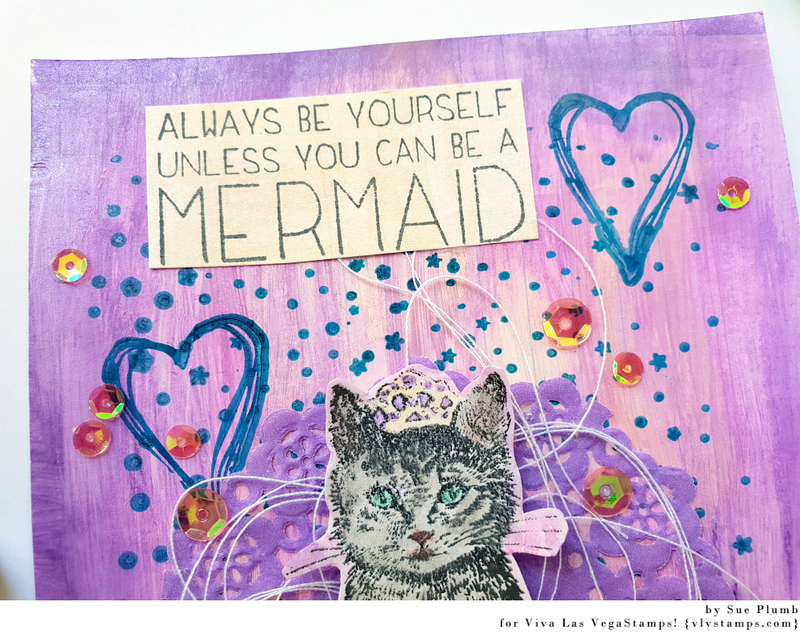 I then added the two pieces of the quote above and below the cat. For a bit of extra whimsy, I finished my piece with a sprinkle of sequins. This was a super fun little project to make. I must admit that I wasn't really used to creating pieces on such a small scale when I began working on this team; but my amazing VLVS teamies inspired me to give it a go and now I love creating these delicate little pieces! OMG! 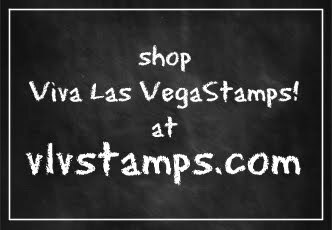 And that stamp...I have never seen that one before, so cute! 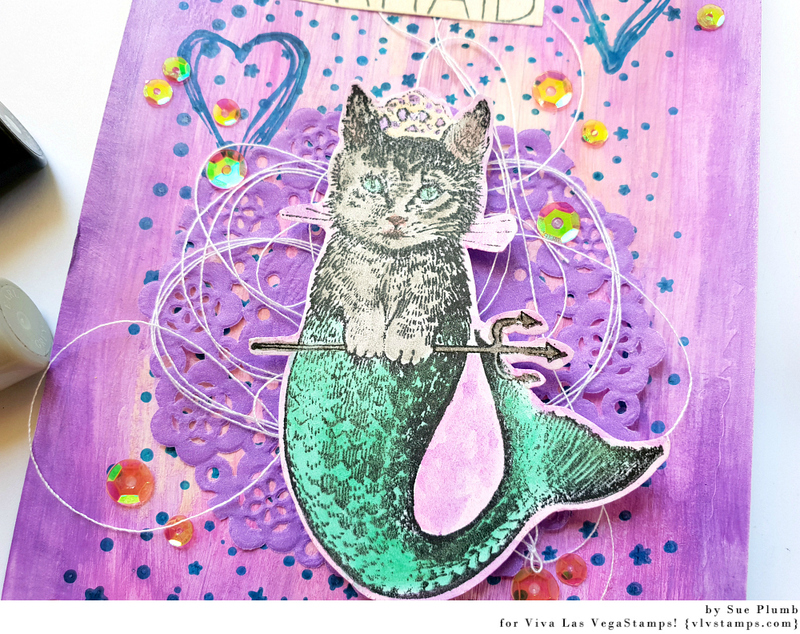 Art Card || "Learning to Sail"